It's an unusual time to have a record-breaking year. The world currently has too much oil. The supply glut has caused crude prices to go from over $100 last summer to under $50 this year. The reversal in prices has caused serious pain in the energy industry, leading to over 51,000 layoffs, deep spending cuts and tumbling stock prices. However, more and more oil continues to fly out of U.S. wells. Output rises despite disappearing rigs: If you pay attention to headlines, you've likely seen a lot of focus on how rig counts have been plunging. The number of oil rigs in use slipped to 760 last week, down a whopping 53% from the peak in October 2014. But don't mistake rig counts for oil production. "Even though rig counts are falling every month, production has increased," said Per Magnus Nysveen, senior partner and head of analysis at Rystad, a Norwegian firm that tracks oil production. "Production and rig counts have moved in the opposite direction." There can be a delay of six months to a year between when wells are drilled and when they start pumping oil, Nysveen said. That means the impact of recent declines in rig counts hasn't been felt yet on the production side. Wells that have already been drilled are still pumping. 'False rigonometry' Some investors may have hoped the falling rig counts would quickly fix the supply glut. That hasn't panned out yet. "Wall Street keeps getting it wrong," said Tom Kloza, chief oil analyst at the Oil Price Information Service. Kloza said he likes to call the financial community's intense focus on weekly rig counts "false rigonometry." "Yes, projects and capital expenditures are being trimmed. That ultimately will tighten up markets, but not this year," he said. Kloza said the cutbacks in spending are like a professional baseball team that stops paying attention to its farm system. Eventually that will hurt the product on the field, but not right away. World's top oil producer: Kloza said the forecast for U.S. oil production to rise to a new record this year is "very reasonable." He said it would make the U.S. the third-largest crude oil producer, trailing only Saudi Arabia and Russia. If natural gas liquids and condensate are included, the U.S. should keep its title as the world's top oil producer. So what about 2016? 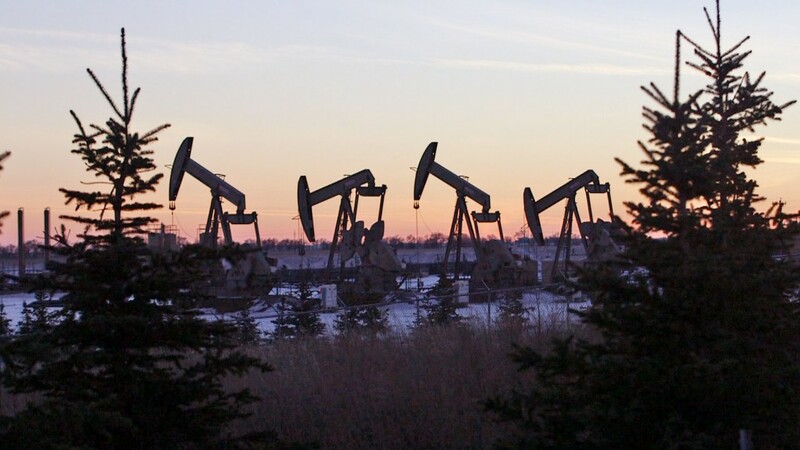 Rystad believes America could set another personal record for crude oil production next year. 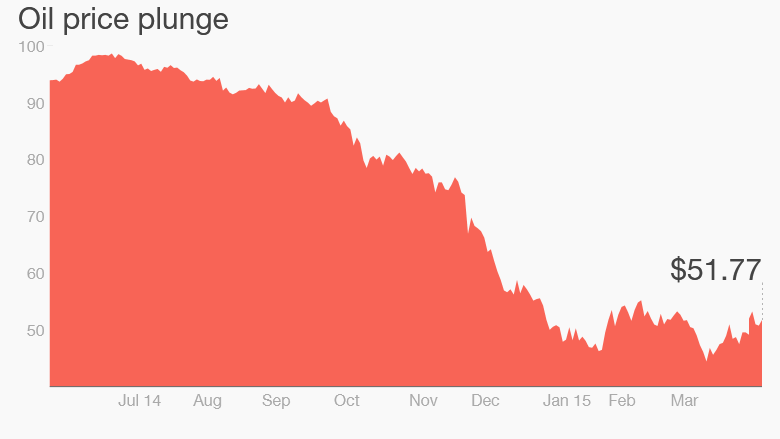 Nysveen said only a "sustained" period of sub-$50 oil prices will cause an outright decline in U.S. oil production. "We could see another record in 2016," he said. So what does all of this mean for prices? It's tough to see oil prices shooting back to $100 territory as U.S. production hits new record highs. That's part of the reason why Nysveen said it may take three or four years before oil consistently returns to the $90 to $100 range. Of course, that's great news for American drivers, who are saving an estimated $750 this year on cheap gas.